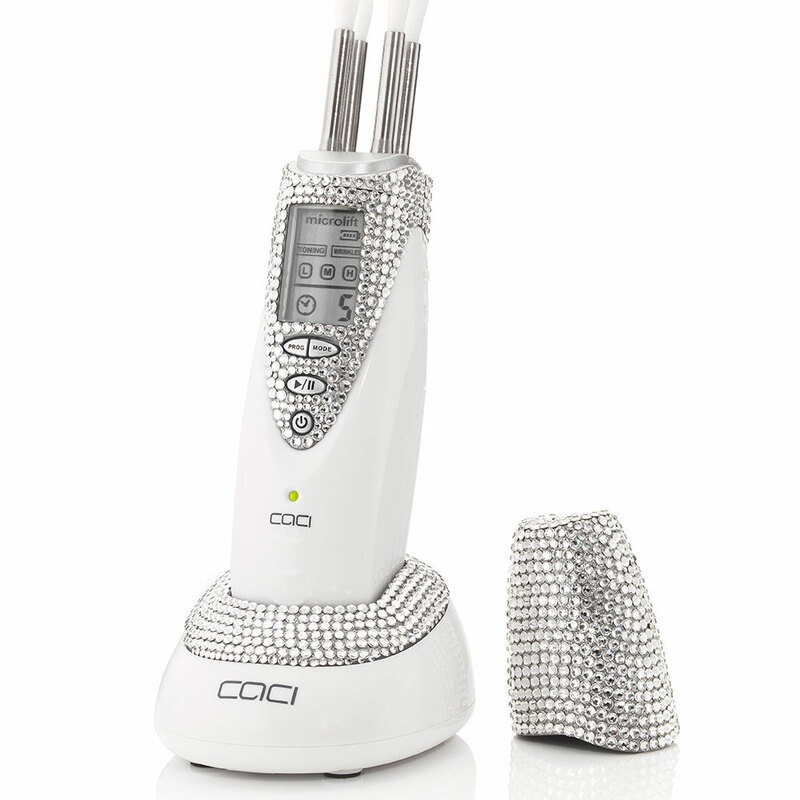 CACI, the world leader in non-surgical solutions, has introduced the newest addition to the CACI Microlift Swarovski crystal collection. CACI’s captivating Swarovski crystal ‘heart’ Microlift combines CACI’s apparently revolutionary anti-ageing technology and patented muscle firming action in a portable, hand-held gadget. Unlike any other facial toning system, the CACI Microlift enables users to both tone the skin and re-train facial muscles with its patented muscle firming action and microcurrent stimulation; a combination that works in harmony with the body’s bioelectrical field. CACI claims that in just ten minutes, the dual function of Microlift effectively manipulates and tones facial muscles as well as helping to reduce wrinkles and minimize the appearance of fine lines, creating a flawless skin-tone. 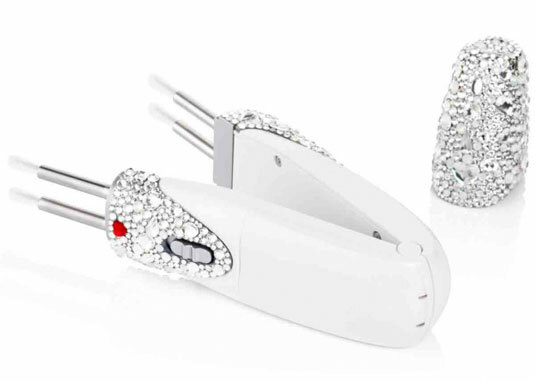 Skillfully crafted by hand, the Swarovski crystal ‘heart’ CACI Microlift has been embellished with more than 2,000 genuine Swarovski crystals. 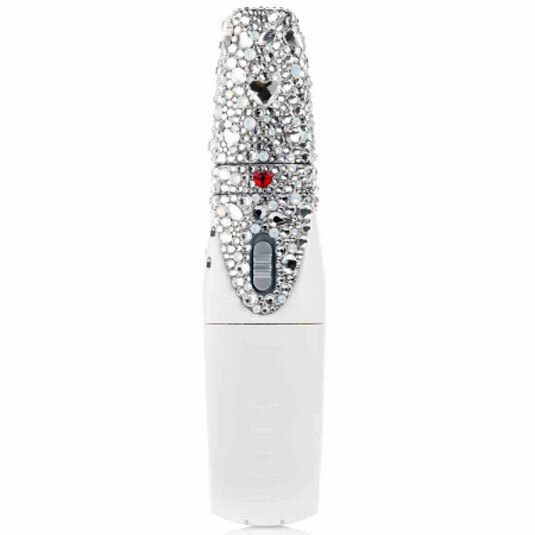 Priced at £875 ($1,330), new hand encrusted Swarovski ‘heart’ crystal CACI Microlift that features a dinky Swarovski ‘red’ beating heart, is available at VeryFirstTo.